Empanadas are rolling into Stanley Marketplace. Lorena Cantarovici has signed a deal to bring her Latin American-themed bakery, Maria Empanada, to Stapleton this year. Cantarovici will start churning out empanadas in a 300-square-foot storefront after the Stanley Marketplace opens in July. She’s investing about $75,000 to renovate the space, she said. 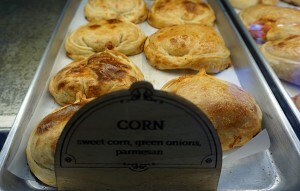 Empanadas are pastries made of bread and stuffed with meats, cheeses and vegetables. They cost between $2 and $3 each. The empanada empress said she caught a lucky break finding space at the development. Cantarovici said she contacted the Stanley Marketplace’s owners earlier this year after her friend saw a news story reporting that all vendor space had been leased. The Stanley Marketplace location will be Maria Empanada’s second shop; there’s a 1,600-square-foot store at 1298 S. Broadway. Three or four employees will prepare the food on-site, Cantarovici said. The second shop will have a menu similar to the Broadway store, featuring all of its empanadas but a limited selection of other dishes. Cantarovici will join other entrepreneurs in the Stanley Marketplace, such as Josh Pollack of Rosenberg’s Bagels and fit-o-philes Patrick Harrington of Kindness Yoga and Chris Lindley of the Endorphin gym chain. Cantarovici began making empanadas in her home kitchen in 2010 and expanded into catering after she received a 60-empanada order in 2011. She opened her first shop, a 900-square-foot store, at Mississippi and Sheridan in Lakewood in 2011 before relocating to her current digs on Broadway in 2014. 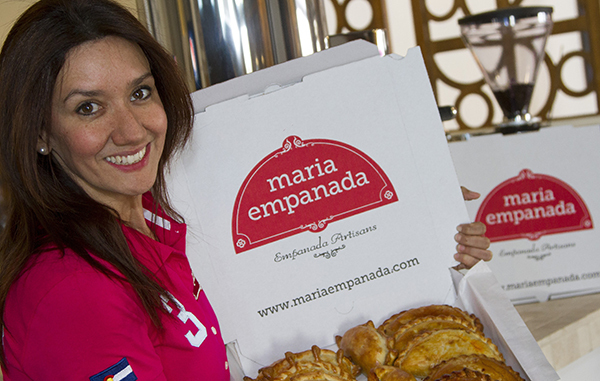 She plans further growth for Maria Empanada.